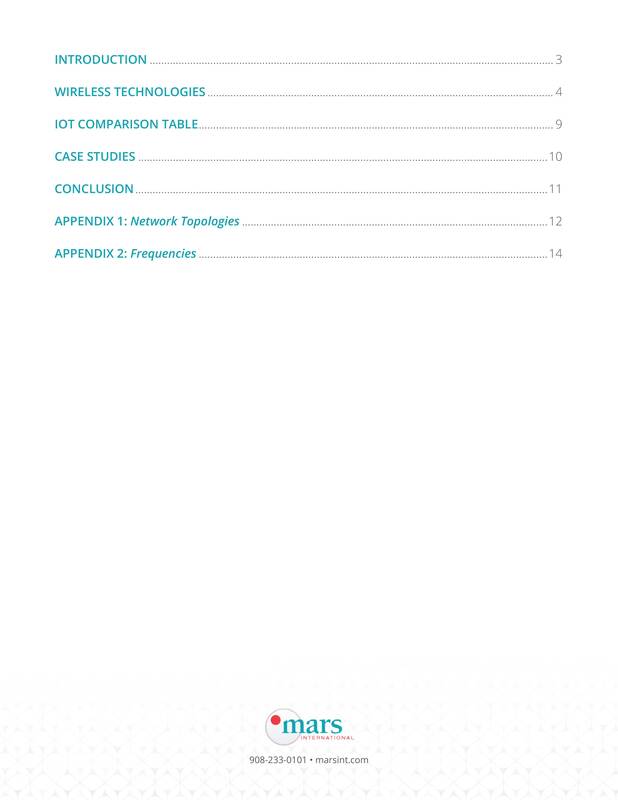 Reference Material for Designers, Engineers & Specifiers. 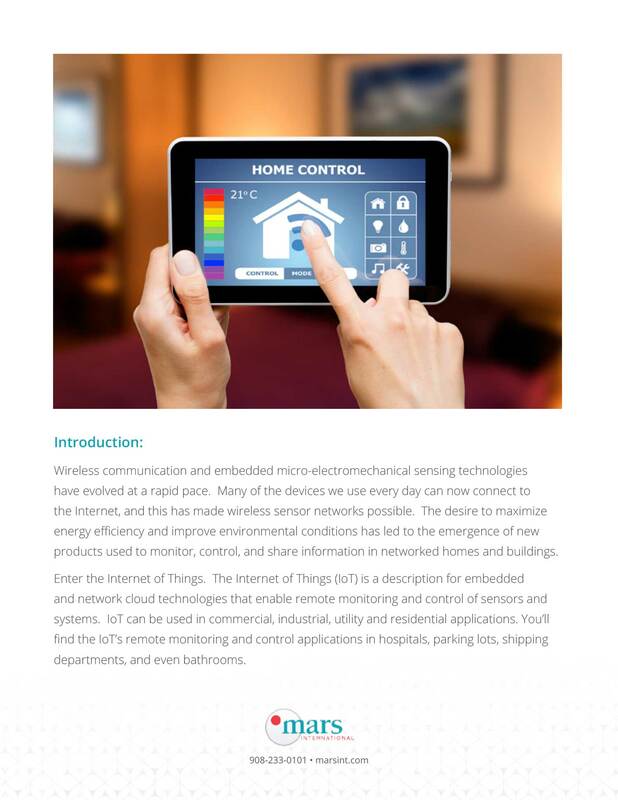 Are you using the right Internet of Things technology for your project? Knowing that you have the appropriate IoT set up is crucial to accomplishing your goal. 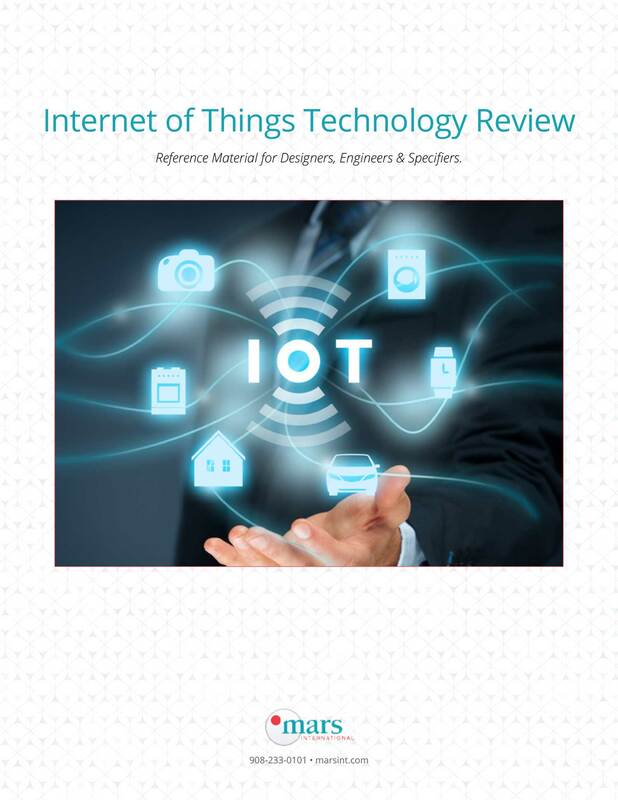 That's why we've created this new white paper, Internet of Things Technology Review. 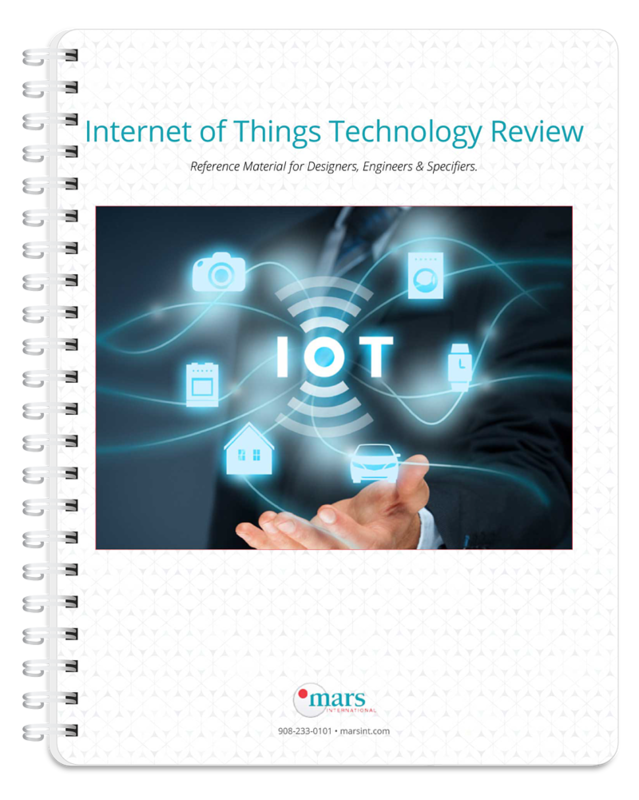 Inside you'll find a breakdown of different IoT technologies, their pros and cons of each one, and a few case studies detailing how Mars International helped find the right IoT solution for its clients. 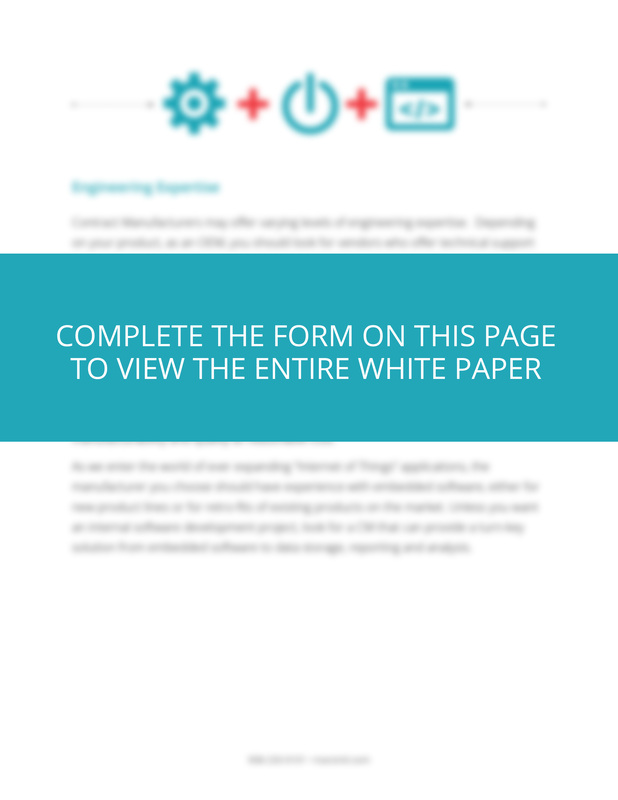 Download our white paper today before you begin your next IoT project.